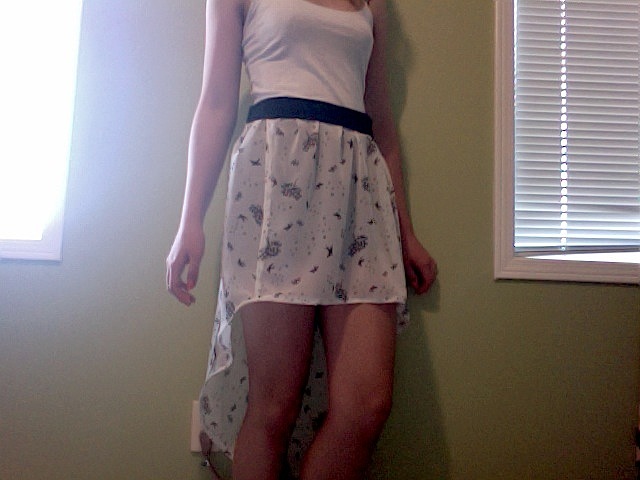 Every fashion-loving girl loves a flowy skirt, right? Well, my friend asked me to sew her a high-low skirt for her up coming birthday, and being the generous friend that I am, I did! It was tons of fun to make, just as much fun to wear. First of all, I created the underskirt leaving a good inch of seem allowance at the bottom, and 2 and a half at the top. It's made of a black stretchy knit material that is the perfect thickness to allow for movement, but doesn't ride up while you move ;). I had to remember to cut the fabric so that the stretchy components are running horizontally. I've already made that mistake before. 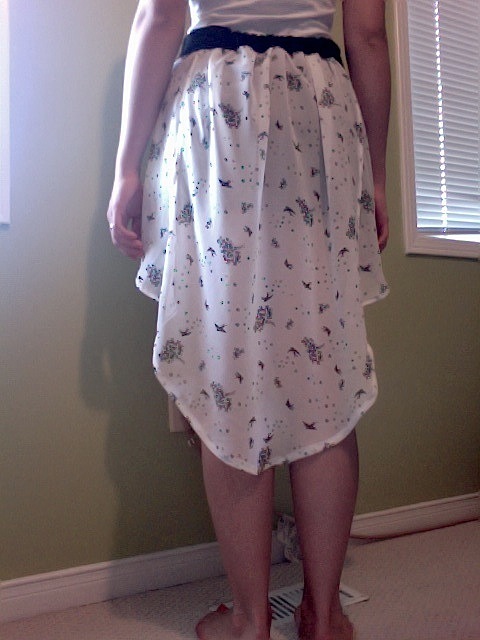 I finished off the bottom hem and left the top part of the skirt unfinished so i can sew on the lighter material later. 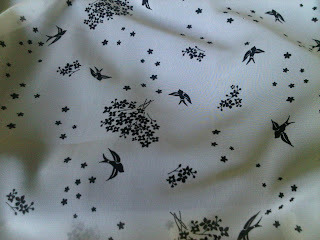 The flowy material of the skirt is quite sheer, and honesty a pain to sew, but it's so light and cold to the touch, it makes it perfect for hot summer days. The material is an off white and has black pattern detailing consisting of swallows in flight, clusters of stars, and bunches of flowers. I used four (4) panels of the sheer material; the front, two sides and the back. Of course, the front is much shorter then the back, while the sides were used as transition pieces, allowing for a better flow from the front to the back. 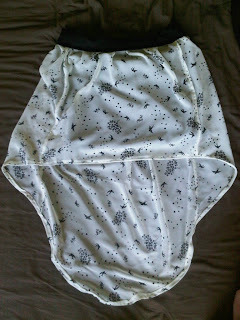 I did this to allow for funcional movement in the skirt, and so it doesn't seem to tight or constricting while walking. Another mistake that I've made in the past. Then, I finished off the edges around the bottom of the material. 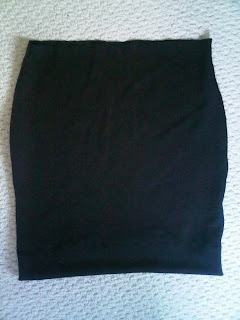 I sewed the top edge of the sheer material to the black skirt and added an elastic in the back. 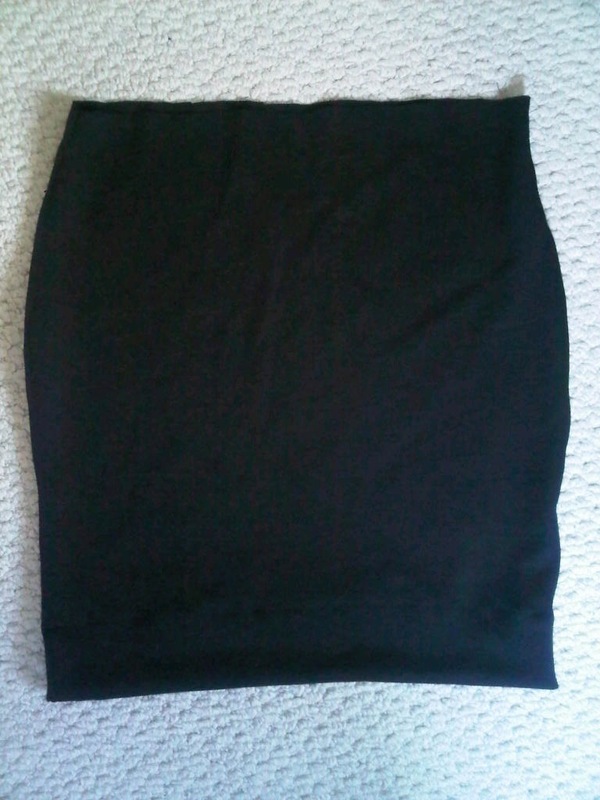 To finish it off, I folded the 2 and a half seem allowance of the black skirt overtop of the white, making sure to tuck in the raw edges and that the pleating around the waistband was evenly distributed. 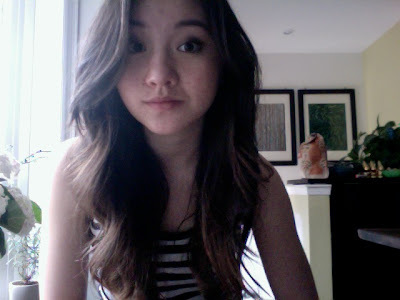 And TADA!! 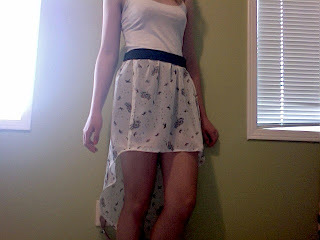 I really did enjoy making this, and hopefully my friend will appreciate all my hard work that was put into this skirt. BTW, shhhh! And don't let her know! Also, I will be making a skirt for myself later on with the same materials, but it's going to be a maxi skirt instead of a high-low skirt! So excited to get it started! Wish me luck!